Born in Osaka, Japan in 1949, Kenro Izu moved to New York City in the early 1970s, where he quickly established himself as a master of still life photography. A chance viewing of the mammoth plate photographs by the Victorian photographer Francis Frith led Izu to travel to Egypt in 1979, to photograph the pyramids and other sacred monuments. Thus began the artist s renowned series 'Sacred Places,' which includes work from holy sites in Syria, Jordan, England, Scotland, Mexico, Easter Island and, more recently, Buddhist and Hindu sites in India, Cambodia, Burma, Vietnam, Indonesia, and China. Using a custom-made, 300-pound camera, Izu creates negatives that are 14 inches high by 20 inches wide. The resulting platinum palladium prints are widely recognized as being among the most beautiful prints in the history of the medium. 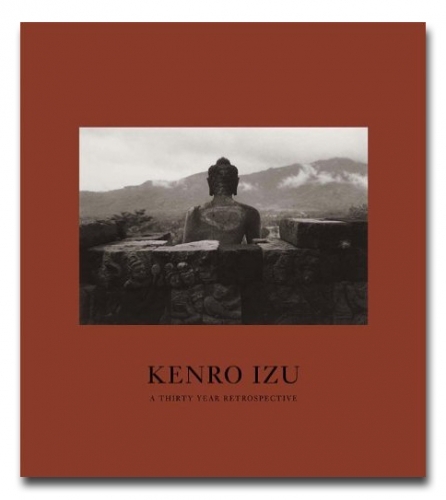 To celebrate the thirtieth year of the ongoing 'Sacred Places' series, we are proud to present Kenro Izu's Thirty Year Retrospective, a stunning collection of the artist s most powerful work to date. This gorgeous new monograph comprises some 100 plates, beautifully printed in duotone on matt art paper and bound in Japanese cloth.